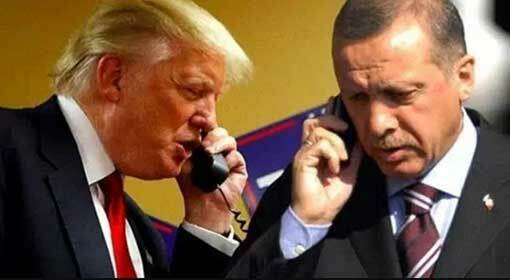 Washington/ Ankara: American president Donald Trump has appealed ‘Turkey should take care during its action in Syria not to enter into a conflict with the American forces’. The Turkish President, Recep Tayyip Erdogan, had announced intensification of the army action against the Kurds in Syria. The appeal by the American president was in response to this. Turkey has started ‘Olive Branch’, an army operation, against the Kurds in the ‘Afrin’ Region. The operation which has been ongoing since the last seven days and the Turkish army has claimed of killing 260 Kurds and ‘IS’ terrorists. The Syrian human rights organizations have complained that more than 50 thousand civilians have displaced due to this army action. Kabul: 63 people have died and 151 have been injured in the bomb blast carried out by Taliban in Kabul the capital of Afghanistan. Keeping in view the intensity of the blast it is feared that the death toll will rise further. This is the second terror attack in Kabul, in a week. Taliban has accepted the responsibility for the blast. The previous attack was apparently carried out by the Haqqani faction of the Taliban. There are clear indications that Pakistan will have to face a lot of hardships for allowing Taliban and Haqqani group operated from their land. There was a horrific blast in an ambulance in Kabul on Saturday. There are many government buildings, embassies and the office of the European Union. The blast caused destruction to a lot of buildings in the surrounding area. 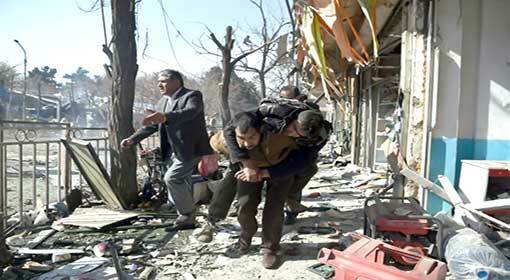 63 people have died in the blast and it is feared that more deaths will be reported. The suicide bomber used an ambulance as ambulances are generally exempt from the security checks. In spite of this, the ambulance was stopped at one of the check posts. It was informed that they were taking a patient to the Jamuriat hospital. It is suspected that the patient in the ambulance was the suicide bomber. Moscow: Russia has replied to the US with strong words ‘The sanctions being imposed on Russia by the US are a symbol of the meaningless and unsubstantiated campaign.’ The US has announced sanctions against Russia on Friday. These sanctions are targeting the deputy fuel minister and nine companies. 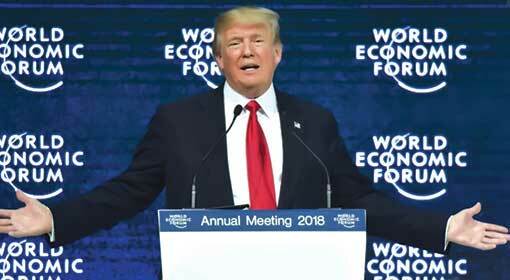 Davos: President Trump endorsed ‘America First’ policy, criticised the world over at the World Economic Forum. President Trump clarified that ‘”America First” does not mean America alone’ and at the same time America is open for business. President Trump also said that we are not opposed to the concept of free trade but expressed the hope that the trade should not be unilateral. In the ‘World Economic Forum’ meeting held at Davos in Switzerland, main leaders in the world criticised the protectionist economic policies. Most of these countries were targeting the new US economic policy. President Trump has made changes to the US economic policy and has given preference to the employment of native Americans and the American industry. President Trump has warned even those countries, considered to be partner nations that henceforth, there cannot be unilateral transactions. President Trump has also taken the courageous decision to walk out from the agreements that were not in the interest of the American population. Washington: The US has reacted strongly to the three terrorist attacks in Kabul in the last ten days. After these attacks, the US President Trump has rejected the possibility of talks with Taliban. He has issued a stern warning that the US will not stop short of finishing Taliban who are killing innocent people. Therefore, it appears that the US anti-terrorist actions in Afghanistan will intensify. More than 150 people have lost their lives in the terror attacks in Kabul, the capital of Afghanistan. 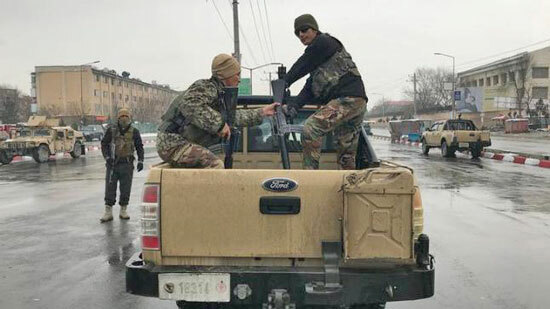 The attacks orchestrated by the Taliban and the IS have posed fresh challenges in front of Afghanistan as well as the US. The US announced its Afghanistan policy a few months ago. The policy stated tough action against Taliban and other terrorist organizations. The policy also warned Pakistan about action against them for sheltering Taliban. 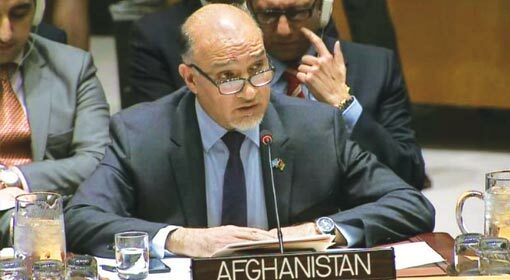 Washington: The Afghanistan envoy to the United Nations, Mahmoud Saikal, has alleged that ISI, the intelligence agency of Pakistan, has trained the terrorists involved in the attacks carried out on a five-star hotel in Kabul ten days ago. Saikal demanded that the United Nations should take strict action against Pakistan for being involved in such terrorist act. Kabul suffered a horrific terror attack on one five-star hotel ten days back. 40 people lost their lives in the attack. The Afghanistan agencies arrested the father of one of the terrorists, Abdul Qahar, involved in this attack recently. During interrogation, he accepted that his son was trained by ISI in Chaman in the Baluchistan region, said Saikal. London: ‘Although the trade between the US and the European Union (EU) is very old, the EU has behaved unfairly with the American exporters. I have suffered this unfair treatment as an entrepreneur, before becoming the president’ criticised American president Trump. Meanwhile, there are strong reactions coming from the EU about this criticism. ‘If the US stops the exports from EU it will amount to a trade war and EU is ready for such a trade war’ warned EU. 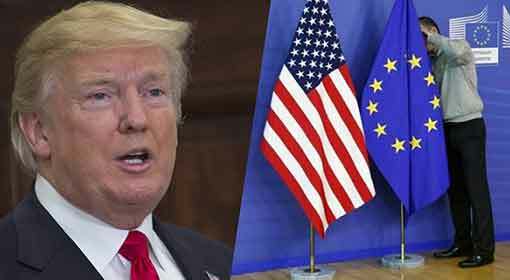 Last week, during his visit to Switzerland for an international meeting, president Trump criticised the EU’s trade policies in an interview to a British news channel. ‘The American products do not get an easy market in Europe. 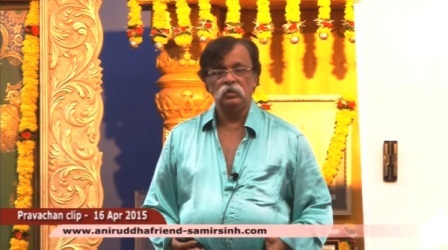 It is very difficult to establish in the European markets. Whereas, on the other hand, the products from the European countries are offered incentives and tax sops in the US. This is a wrong and unfair practice.’, criticised Trump. Honolulu: “The US welcomes the discussions between both Korean nations on the background of the Olympic games. But despite this, the US and South Korea are firm about their position of joining hands to stop North Korea from manufacturing nuclear arms,” announced US Defense Secretary James Mattis. He also declared that the US was prepared to impose maximum economic sanctions against North Korea for this purpose. Defense Secretary Mattis who is on a tour in South East Asia, visited the Hawaii islands in the Pacific Ocean, two days ago. Mattis and South Korean Defense Minister Song Young-moo had a meeting in Hawaii islands which serve as a US military base. 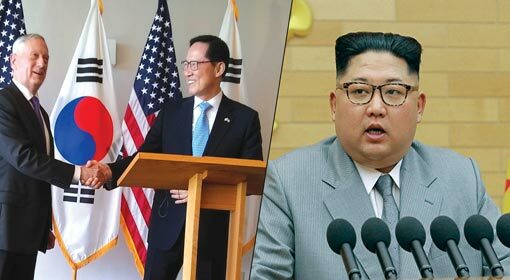 In the press conference that followed this meeting, the US Defense Secretary said that both the US and South Korea had agreed to resolve the issue of North Korea at the political level. Washington: The ‘Foreign Intelligence Surveillance Act.’ permitting surveillance of American nationals along with foreign nationals without a ‘warrant’ has been granted extension by President Trump. President Trump had criticised the same bill a few months ago. President Trump announced that he is signing the bill after both the houses passing it with certain modifications. 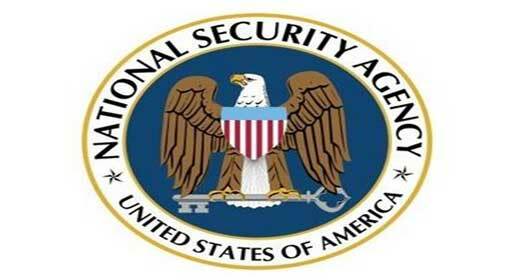 The US ‘National Security Agency’ is permitted to monitor the mobile and internet activities of citizens of foreign countries and American nationals abroad. ‘Foreign Intelligence Surveillance Act.’ has been passed for this purpose that provides surveillance without a warrant in Section 702. The provision was to expire on 19th January 2018. Both the houses of the US parliament have passed the bill for the extension of the ‘Section 702’. The house of representatives passed, with 256 in favor and 156 against and the Senate with 65 against 34, a separate bill as ‘Section 702 of the Foreign Intelligence Surveillance Act.’ only last week. The bill was forwarded to President Trump for his signature. Trump has signed the bill on Friday and therefore the concerned law has been extended by six years. 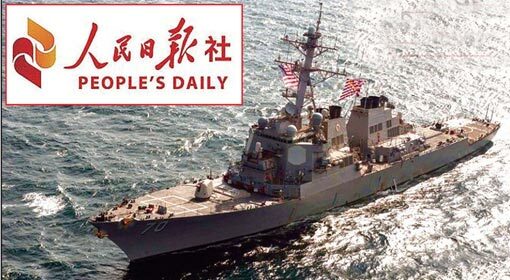 Beijing/Manila: The Chinese government daily has warned ‘If the US continues with the provocative acts in ‘South China Sea’, China will have no option but to militarise the region.’ China has alleged that an American warship was patrolling inside the Chinese waters in the ‘South China sea’ last week. But the Defence Minister of Philippines has justified the deployment of the American warships in the region. The American navy has declared that the warship ‘USS Hopper’ is on a patrolling mission in the ‘South China Sea’. According to the American navy, this is in line with the timetable of the American navy deployed in the Asia-pacific region. The American navy has stated that the warship has travelled in the international waters as per the timetable. Jerusalem: ‘I am honoured to be in Jerusalem, the capital of Israel’, stated the American vice president, strongly expressing the American stand in the matter. 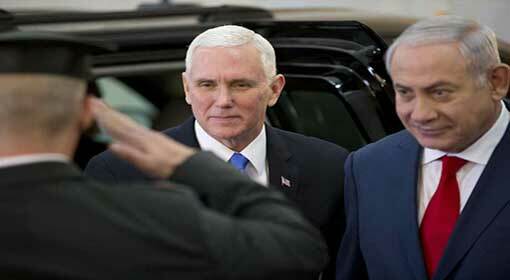 The American vice president received a grand reception on his first visit to Jerusalem after the American President Donald Trump declared Jerusalem as the capital of Israel. While Israel is welcoming Pence, the Palestinian people and the leaders are protesting the visit by the v3ce president in strong words. Vice president Pence reached Israel from Amman in a military aircraft. Mike Pence reached Israel on Monday and expressed the American commitment once again to the decision by saying “Jerusalem, the capital of Israel’. The American vice president said ‘this is a beginning of a new era to solve the problems of Palestine through discussions and peaceful means’. 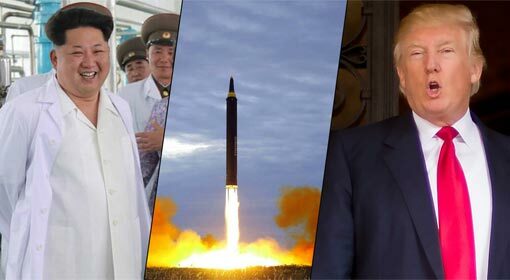 Tokyo: The Japanese newspaper Asahi Shimbun claimed that after successfully testing the Intercontinental Ballistic Missile (ICBM) capable of striking main cities of the US, North Korea had now prepared for a biological attack on the US. It stated that North Korea had devised a plan to strike the US by mounting the ‘Anthrax’ virus onto the ICBM. It also claimed that North Korea had prepared to test the ICBM by mounting ‘Anthrax’ onto it. However, North Korea refuted these claims and responded to them by saying that the US was looking for excuses to strike them. The Japanese daily recently informed that the required tests for a biological missile strike had been successfully completed. The daily had reported the said report based on the information obtained from sources in the South Korean intelligence agencies. 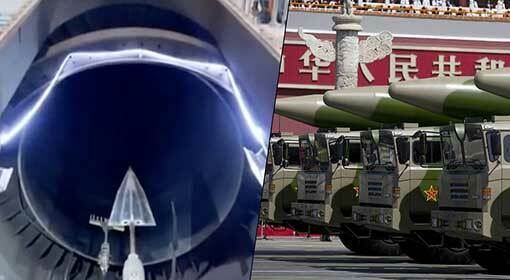 Beijing: Chinese military analysts have threatened that ‘China has tested a hypersonic missile with the capacity to attack any city in the US and destroy the nuclear projects in India and military bases in Japan’. This threat raised by the Chinese military analysts targeted at India, Japan, and the United States two months after the hypersonic missile test, is considered to be a serious one. The People’s Liberation Army (PLA) of China had conducted two tests of the Hypersonic Glide Vehicle (HGV) “Dongfeng-17” in last November. The first test was done on November 1 followed by another two weeks later. Both the tests have been successful and “Dongfeng-17” shall be ready to be deployed in the Chinese military forces from the year 2020, as per sources from the American intelligence agency. Paris/New York: More than 20 people have been killed in the chemical attacks in ‘Eastern Ghouta’ area in Syria on Monday and Assad government is claimed to have launched it. 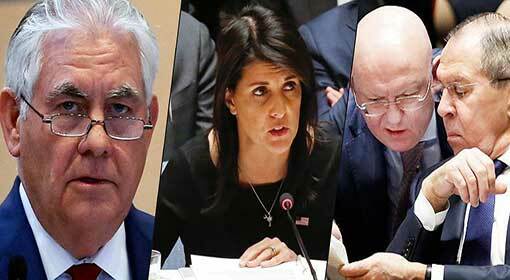 American foreign minister Rex Tillerson has strongly criticised ‘Russia, who is supporting the Assad government is entirely responsible for these attacks’. 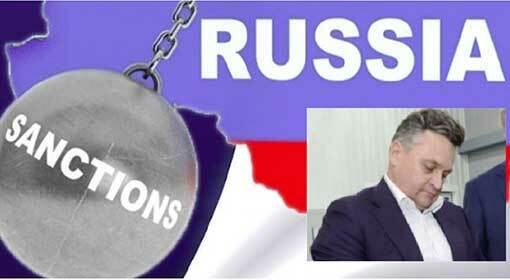 Russia has refuted the American allegation and has asked for a detailed enquiry. The Syrian army has started an offensive against the rebels of the ‘Syrian Democratic Forces’ (SDF) from past few weeks. The Syrian army had conducted air raids to gain control over the parts, Eastern Ghouta and Idlib, under the control of the SDF. In a similar action, a chemical weapon was used in ‘Eastern Ghouta’ near the capital Damascus. This allegation was levelled in the international meeting for ‘International Partnership against Impunity for the Use of Chemical Weapons’. New York: Famous economist Steve Chiavarone has stated: “American central ‘Federal Reserve’ will not stop short of finishing Bitcoin”. Although bitcoin does not have a future, but the ‘blockchain’ technology which is the basis of this virtual currency may be used widely in days to come, said Chiavarone. The analysts had cautioned against it when the value of bitcoins was rising. 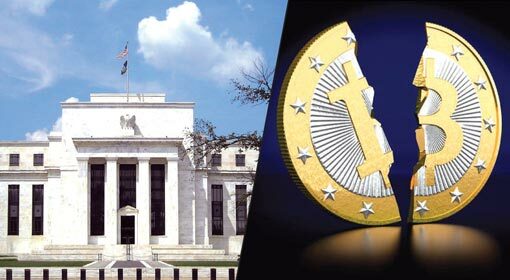 However, it seems that Chiavarone has warned the investors in bitcoin that the American ‘Federal Reserve’ will finish bitcoin. ‘Steve Chiavarone’ had made an important statement about bitcoin. After the 2008 recession, the greed for higher returns presented the opportunity in form of bitcoins, commented Chiavarone. Explaining in detail Chiavarone expressed his frank opinion about the mindset of the investors, that the investors willing to take risks for higher returns have invested in bitcoins. 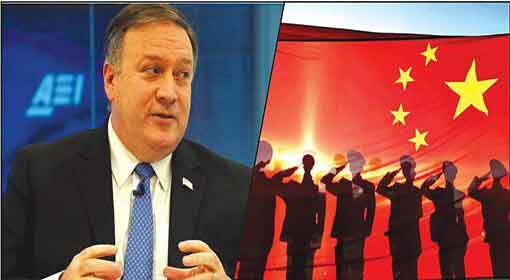 Washington: CIA director Mike Pompeo has warned ‘Russia will interfere in the mid-term elections in the US’. There is a lot of stir created by this claim in the US and the media has upheld the claim. But, the CIA chief also warned that there is a bigger threat from China than Russia as China is more influential. The US will have mid-term elections in this year. 435 members in the lower house, the ‘House Of Representatives’ and 33 members in the upper house, the Senate will be appointed in these mid-term elections. I am convinced that Russia will interfere in these elections, said Pompeo. Pompeo claimed that this can be certainly said as the Russian activities in the US are continuing. The American media gave a lot of coverage to the statements issued. 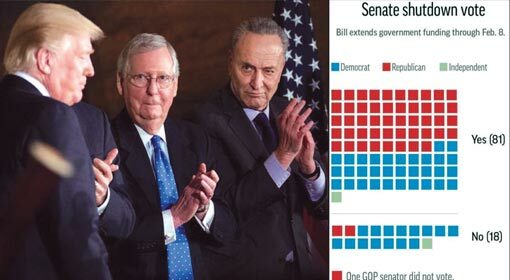 Washington: The Democratic party passed the short-term additional spending bill after assurance from the ruling Republican Party. The US shutdown of 69 hours ended on Monday night because of this. The US president Donald Trump has hailed this as a major victory. It is claimed that this has avoided a major disaster. ‘Shutdown’ was announced in the US from Friday midnight. The Democratic party had enforced the ‘shutdown’ by blocking the additional budget proposal brought by President Trump. The US defence agencies and administrative staff would have to go on compulsory leave. This could have affected the internal operations in the US. 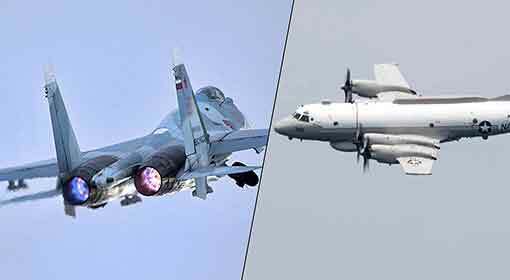 Washington / Moscow: A collision between the US ‘EP-3’ surveillance aircraft patrolling the ‘Black Sea’ region and Sukhoi-27 fighter jet was avoided by a mere 5 feet. The US has alleged that the Russian fighter jet came dangerously close to our surveillance aircraft. Russia has refuted the claim and stated that their jet was flying at a safe distance. The US navy informed that the US ‘EP-3’ surveillance aircraft was on its routine sortie in the ‘Black Sea’ airspace, connecting eastern Europe with Russia, on Monday. The Navy alleged that ‘While our aircraft was patrolling, within the framework of the international rules, the Russian aircraft started flying close to the American aircraft.’ Two officers connected with the incident said ‘The Russian Sukhoi-27 aircraft was flying within 5 feet of the US surveillance aircraft’. 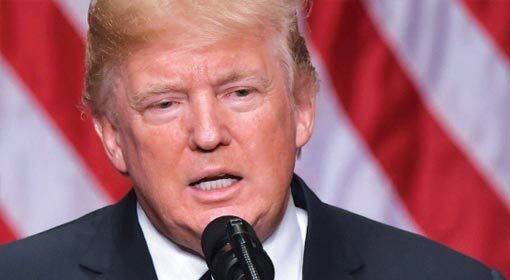 Washington: The US President Donald Trump will announce the defence expenditure budget of USD 716 billion, an increase of 7% over the previous year. President Trump is likely to suggest this increase in the defence expenditure by underlining the increasing threat from Russia and China, claimed two senior US officials. The Trump administration has not given any reaction to this. The US defence expenditure is to be announced in the next month. This will be the second ‘Defence Budget’ by President Trump. After the Obama administration had cut down the defence expenditure substantially, President Trump increased the defence expenditure in the last year for the first time in eight years after he took to an office. 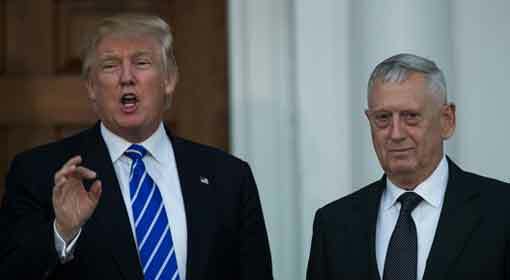 It is claimed that President Trump will suggest a big increase in the defence expenditure in this year as well.